While doing research for my book, I came across this video produced by the indefatigable Udo Neumann. 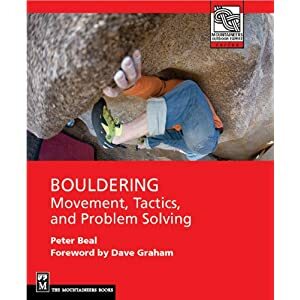 Neumann is co-author of the essential book on training, Performance Rock Climbing and has created numerous useful and interesting videos. I think most of his books are available only in German, sadly. The video of Radja, the first V14 in the world, comes near the end but all of it is worth a view. Nicole has been such a major influence on the sport of bouldering that any opportunity to see him climb is worth the time. ah the 90s. Good times for climbing, when it was still cool to be earnest about it. Thanks for that.